I woke up at 4:09 am. As I usually do, I looked at my diary for 10, 20, 30, 40 and 50 years ago and saw it was 40 years ago today that Willy Lamprecht was fired from the Windhoek Advertiser . Willy had come from England to be the assistant editor, and his wife Madeleine, who was a strong feminist, began writing about women's liberation issues in the women's pages at a time when most women in Windhoek were anything but liberated. Willy had only been with the paper for a few months before he was fired, and they then went to Johannesburg where Willy worked as a sub-editor on the Rand Daily Mail. They had a daughter Shanti, named after Shanti Naidoo, who was detained by the Security Police at the time. I lost touch with them after that, and so this morning I Googled to see if Willy or Madeleine were on Facebook or something like that, but could not find them. But that reminded me of another old friend, Don Lamprecht, who had e-mailed me out of the blue about five years ago. So I thought I'd Google for him and discovered that he had died last year, though there was a page in memory of him on Facebook. He was an actor, perhaps best known for his role as Tjokkie in P.J. Du Plessis's play Siener in die suburbs , though when I knew him, he was a B.Com student at Wits University. So I learnt something about his death, and that his friends in the theatre world thought very highly of him. At the end of September 1959 I moved with my mother in to Quintondale Flats, in Cheltondale, Johannesburg. Two days after we had moved in, on 1 October, Don Lamprecht and another bloke knocked at the door and introduced themselves. Like me they were students at Wits, where Don was studying for a B.Com and I was studying for a B.A. The introduction was clearly on Don's initiative, because I never saw the other bloke much (I think his name was Stuart Bromfield) , but within a few days Don and I had become close friends. Don lived in a flat one floor up with his parents and younger sister Lindsay, who was about 8. Don told me she was adopted. Don was the chairman of the youth group at St Luke's Anglican Church, which was just up the road in Orchards, but I continued to go to St Augustine's Church in Orange Grove, where most of my friends were. St Augustine's youth group belonged to a worldwide organisation called the Anglican Young People's Association (AYPA), and I persuaded Don to get the St Luke's youth group to join the AYPA as well. I went up to see John Lamprecht. It was half-past-four and he was having lunch. 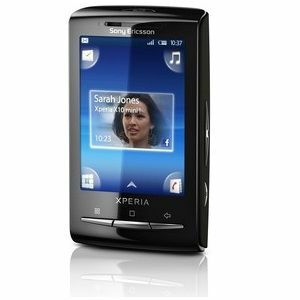 His mother invited me to have some hot bread and I played with the budgie while John phoned to see if he had an exam the following day. A cub came for bob-a-job and he had to plait Lindsay Lamprecht's hair. His name was Vivian Cronjé, and a more self-confident little brat I never did see. John signed his card and under "type of work" he put "Doing kid sister's hair". Then he came down to my place and I played him "Li biamo, li biamo calici" from La Traviata, and parts of Mozart's 39th symphony. He showed me his Lambretta 150, which was very heavy. It had bouncy suspension and an electric starter. That evening he took me to a play rehearsal at St Luke's, He drove like a maniac in his DKW, and then afterwards we went to the Dolls House. Perhaps the play rehearsal at St Luke's was the start of his acting career. Don and his mother were interested in spiritualism. Don told me that he was a member of two "bands" of dead boys who had committed suicide, or died by reason of some sexual offence. He lent me a book, The dead companions , that had been given to him by his "sugar-daddy" in Pretoria, a Major Alan Howgrave-Graham, and it was mostly about an 11-year-old boy who had shot himself because he couldn't do his homework. I once took Don's mother to a Spiritualist Church in Troyeville. The service was held in a darkened room, where the only illumination was a cross made from small red light bulbs. The minister, or medium, or whoever he was performed a "spiritual operation" on Mrs Lamprecht, and said he had removed something from her, but a few months later she died of cancer. Don had a girlfriend, Sylvia Gaulden, and when they were going steady I didn't see so much of him, but then on 25 March 1961 Don rather nervously told me that he thought he was gay, and was going to try the gay life as an experiment. I suggested that he hook up with a gay friend of mine and chat about it with him, but he went off to discuss it with his "sugar-daddy". He later told me that he had been rather shocked by my response. I was the first of his friends he had told about it, and he had screwed up his courage to make this dramatic announcement, and I had treated it quite casually and matter-of-factly, and suggested that he discuss it with another gay friend. I was most concerned about Sylvia, who seemed very fond of Don, but he seemed quite casual about breaking up with her. After that Don began moving in the circles of the Johannesburg gay sub-culture, and introduced me to several of his gay friends. That was actually the first time I had heard the word "gay" used to mean "homosexual", and it was then very much confined to the subculture, which had a rather romantic air about it, as homosexual acts were illegal in those days. But some of the subculture also seemed rather rough. The head honcho was a guy called Mike, who was referred to as "Mother", and looked as tough as nails, and looked as if he would beat up anyone who crossed him. Don told me that he did, too. Don may have originally intended to try the gay life as an experiment, but he stuck with it the rest of his life. Six months later he told me that he had met his true love, whom he described as tubby, nine years older than himself, a Doctor of Philosophy and a teacher at the German school, and the last sort of person her would have imagined himself falling in love with. His name was Aart de Villiers, and shortly afterwards Don moved away to shack up with him. When Don contacted me out of the blue five years ago he told me that Aart had died a few months before, and so their relationship had indeed been "until death us do part". I went to visit Don a few times after he moved away, but usually found that no one was home, and so lost touch. 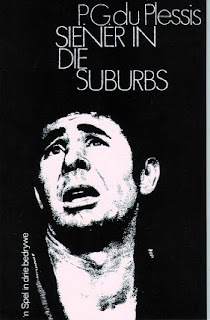 Ten years later I was living in Durban and the play Siener in die suburbs came to town, and I saw that it had Don Lamprecht in it, and Val and I went to see it, partly because I was curious to see if the Don Lamprecht in it was my old friend and neighbour from Cheltondale. It was, and the part of Tjokkie, the "Seer of the Suburbs", suited him, I suppose, with his two bands of dead boys and his mother's spiritual operations. He played it well, though we didn't get to talk to him afterwards. What amazed me too, was the stage set. Sowaar, they had transported a house from Regents Park, Johannesburg, complete with tricycle on the roof, and plonked it on the stage of the Alhambra in Durban. That was the last time I saw Don, and he didn't see me. Oh, and I was fired from the Windhoek Advertiser a year after Willy Lamprecht was. 1. Don Lamprecht's real name was John David Blatt Lamprecht, and it was only later that I began to call him Don. The real name of the "Dolls House" was "The Doll House", and it was a roadhouse up the road in Louis Botha Avenue, where we would go for double-thick chocolate milkshakes. There was once a chain of them in several places -- Cape Town, Durban, Pretoria and Germiston at least. Only the Louis Botha Avenue one is still there. Don referred to the Lambretta scooter as his "roarpony", the literal translation of the Afrikaans "bromponie". 2. Perhaps Don and Aart's relationship raises the issue of homosexual marriage. As I have said elsewhere, I don't believe such a thing is ontologically possible, but I don't think it is my business to pass judgement on Don and Aart. And I do think that Don was probably better off with his tubby Ph.D. than with the hairy (and scary) bruiser "Mother" Mike. He was a great man; a great father. He has left a great legacy in me. I am busy completing a biographical documentary film on me and him. Because of him, I have relocated to Canada to start a new life. I will miss my father Don always! Yes, Don and Aart were both great men! I knew them from a young age already as they were my godparents and we regularly went to visit them in Johannesburg while I was growing up. I think of them today on their birthday and miss them both.